‘Nomophobia,’ or the fear of being without one’s cellphone phone, was coined as recently as last year in light of our increasing dependence on mobile devices. With more than half of today’s US adult population owning a smartphone, advertisers know they must turn their attention and budget towards the opportunities that cross-screen advertising offers. Among all of the mobile platforms by which brands are advertising their messages, none has grown faster than that of video. This spike is partly due to the fact that we continue to integrate mobile in our everyday lives, and partly due to the fact that mobile video advertising has historically outperformed display. A relative newcomer to the digital industry, mobile video advertising is now fully immersed in today’s major media plans—and this growth shows no signs of slowing. 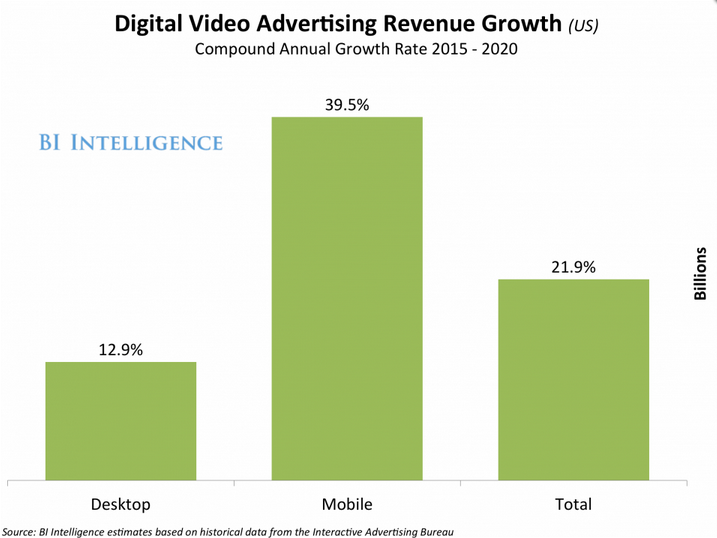 According to Business Insider’s recent report on the state of video advertising, spend on mobile video is anticipated to outpace that of desktop by three times within the next five years. This is an exciting time to see how mobile video can optimize a video campaign’s reach, targeting and scale. At Teads, we’re proud to be at the forefront of it all. Learn more about our outstream formats, designed to enhance the premium mobile video advertising experience.